Personal Injury Attorneys are a dime a dozen these days. We know it. You know it. So, lets not beat around the bush about it. I dare you to try and drive anywhere in the Kaufman, Rockwall and especially Dallas areas and try to count the injury attorney billboards. I bet you lose count after a while. They all start to blend together. Let me start off by saying, we don’t even have a billboard. All we have is this website and the people we have helped in the past who tell their family and friends about us after they are injured in an accident, or as business marketing professors would call “WOM” or word-of-mouth advertising. Although we hate to hear that people have been injured in an accident, when our previous clients recommend us to other people who have been hurt, that lets us know that we are doing something right and getting results for our clients. That is the part of this job that we love. Getting results for a client is always very rewarding on a personal level. We understand that being in an accident takes an emotional as well as physical toll on the injured party. For that reason, you will never just be a number to us at Guest and Gray. Whether it be a vast number in a deep client list or a numeric value on your case. We don’t do that here. To us, you are you. You are the injured victim who’s only fault in the case is that you were innocently driving your car when somebody decided to be negligent and slam his or her vehicle into yours at a high-rate of speed. That is our motivation, and that is why we work so hard to get you results you deserve. It is personal to us because it is personal to you. When you have been injured in an accident, don’t let yourself become just another number or case on a stack of cases for some billboard or TV attorney. Go to a local, trusted attorney who is going to treat your case with the care and attention that your case deserves. Go to a law firm that, when you walk in the door, the attorneys and staff will remember your name and ask you how your day is going. Call Guest and Gray and find out what it is like to have an attorney who truly cares about you and your personal recovery from your injuries and not just the monetary recovery. If you have been injured in an accident, it is always important to call a group of attorneys that is local and cares about your case. Whether it be an accident in the Dallas, Rockwall or Kaufman county areas, if you have been hurt, call Guest and Gray law firm. We are a firm that will not only get you the results you deserve, but we will do it with a personal touch. It just makes sense. 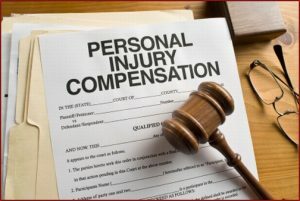 Personal injury attorneys are a dime-a-dozen, so why go to anyone else and allow yourself to become a number? You have options. Make the right choice. Call Guest and Gray, P.C. and see why so many others have already made that choice for themselves. If you have been injured in an accident in the Dallas, Kaufman or Rockwall county areas, or anywhere in the State of Texas, you need to call the trusted law firm of Guest and Gray, P.C. Our firm is the largest and highest rated firm in both Kaufman and Rockwall counties. Our personal injury attorneys are caring, trusted and local. We pride ourselves in hard work and results.